What were you up to on the 8th to 10th of June this year? For some of you, a mundane three days came and gone, but for some of us, we experienced three days of fun, togetherness, teamwork, joy and METTA. 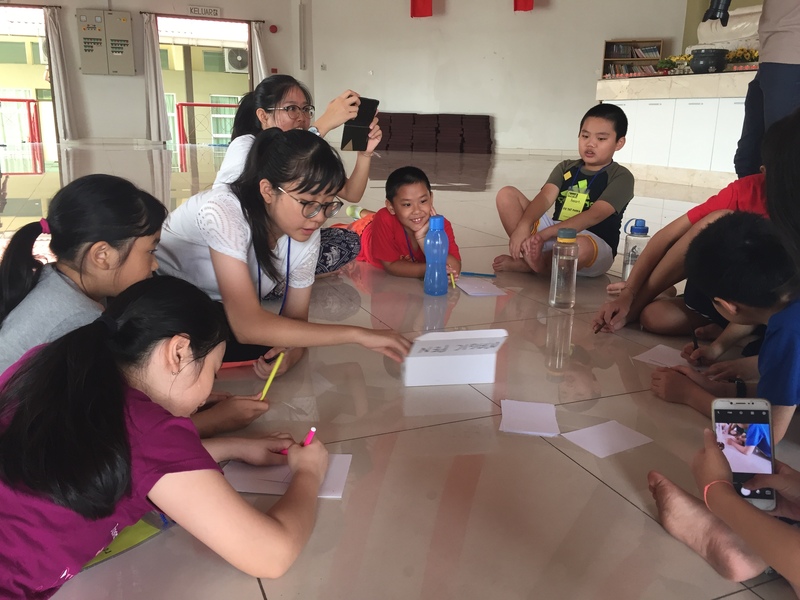 The Metta Children's Camp 2018 was held within the compounds of the Shah Alam branch of the Buddhist Missionary Society of Malaysia (BMSM). There were a total of 36 children participating in this camp, ranging from ages 8 to 13 years old. This camp was planned and executed by both BMSM and BISDS teens and youth, mentored by Bro Vincent Oh, Bro Wallace Tan and Sis Geetha. On the 8th of June, the children started arriving around 8pm on the Friday evening, after dinner. Shy and reserved, the children and parents were invited to get together for the first activity of the camp. Ice breaking involved everyone in the hall and after most of the ice among the children has melted, it was time for light supper. The children were brought on a night tour around the gated premise facilitated by the committee members, before finally calling it a day. Day two of camp started with a peaceful morning puja in the shrine hall and energetic exercises. Breakfast was next, to the delight of some children with hungry smiles and rumbling tummies. After being well fed, the official camp photo was taken with everyone involved in the camp, together with Bhante Mahinda as our special guest. Next on the itinerary was station games, where children drew and express a good deed they've done and witnessed, played exciting games and cheered on their own team loudly. After the hearty lunch, the children had an interactive session with Bhante Mahinda, as he talked to the children on the meaning of metta. Bro Ames Tan then shared with the kids some fun and basic first aid knowledge they can use to help anyone with a bruise, before they were huddled together for a singalong session to sing the songs Metta Metta and Metta Round the World. Up next, we had another round of station games but this time with the kids blindfolded, where they learn to help, depend and trust one another to walk from station to station and play the games whilst blindfolded. After letting them cool down, it was bath time for the children, later occupied with the inspiring Lilo and Stitch movie on kindness and love. Dinner was special as everyone attended the BMSM open house celebrating the Ramadhan month and a belated Wesak this year. The children were on their best behaviour during the dinner, and after, as they helped the committees together collect and wash up the plates the campers have used. Contented after a full stomach, the children flaunted their creativity during the art and craft activity by using colourful strings and papers to display a heart, and decorated the card with coloured markers as they wrote their own definition on what metta really means to them. Upon finishing their handiwork, a short reflection session was done with the kids on the entire day's event, which then led to supper time. After that, the children went back to brush up, lights out, and that's the end of day two. The start of day three was no different from the day prior; morning puja and exercise, followed by breakfast. The kids then played a few light games together, before everyone proceeding to clean the areas of the building we have used during camp. All packed up, the children brought their luggages to the hall and gathered for the closing ceremony. With that, the metta children's camp was brought to an end. The theme of the camp was metta. Metta famously translates to loving kindness, and in Bhante Mahinda's words, metta means friendliness. I believe the children have learned to open their hearts further than they already did from this camp, because I have felt the metta, from them. The children had an interactive session with Bhante Mahinda, as he talked to the children on the meaning of metta. Bro Ames Tan then shared with the kids some fun and basic first aid knowledge they can use to help anyone with a bruise, before they were huddled together for a singalong session to sing the songs Metta Metta and Metta Round the World.